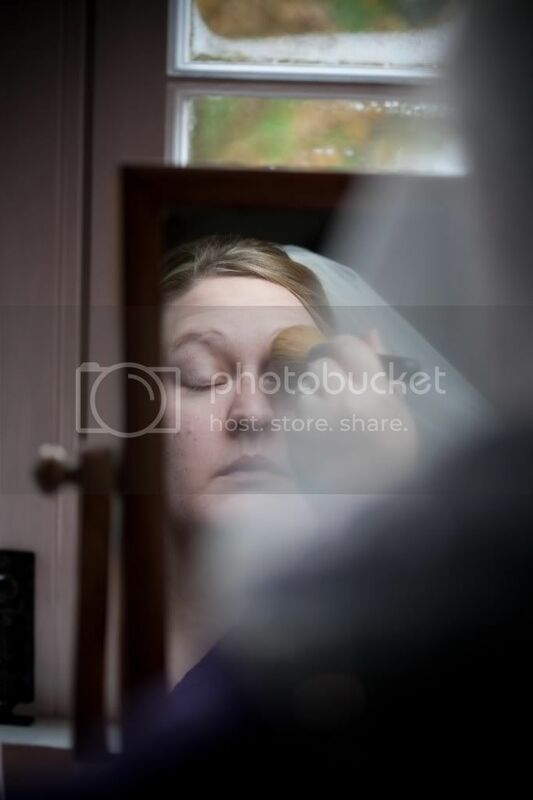 Our DIY Snowy winter wedding 4th Dec 2010 - Lots of Pictures! So according to my ticker at the top of the page it's been 218 days since I married my husband Tom & I thought it was about time I pulled my finger out and got on with my wedding report! The last 6 months have absolutely flown by and if I don't do it now I never will! Hope you enjoy! really looking forward to reading and looking at the pictures. 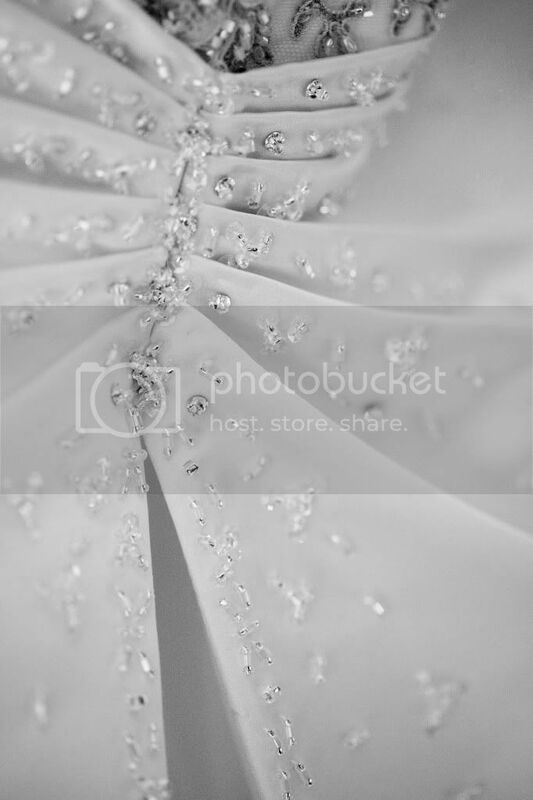 I am also a december bride and cant wait to see it! I suppose I should start with a quick-ish how we met bit! Tom & I got on well from the outset and I knew within a couple of months that I liked him but nothing goes according to plan for me & as we got to know each other better he told me about a girl he really liked Well 6 months down the line 'The Girl' decides she's off travelling for 6 months - Hooray!! To cut a few months short, Tom & I got closer & closer and in March 2008 he finally kissed me & as they say - The rest is history! We were pretty much inseparable from that moment on & by the following Jan 09 (10 Months from first kiss) we bought our first home! Looking back that seems very fast and absolutely not like something I would do but it felt totally right & like we'd been together for years! We were meant to move into the new house as soon as it was finished in the July but it got bought forward to June. In the finish it ended up being ready to move into at the end of the April! About 2 weeks prior to this however, one sunny spring afternoon, off we went for a drink by the river in a lovely pub. I really should have realised something was awry when Tom said we should stay for the evening and he was buying dinner!!! There we were, sat watching the swans glide up & down the river when Tom put his hand into his hoody pocket & said he wanted to ask me something. As he opened a little wooden box, I caught sight of a very shiny Diamond ring & I think my heart stopped in that instant & before he'd said anything I was in floods of tears! (This is how I stayed for about 15 mins!) and he had to ask me again for me to blub out a very inaudible -YES'! It wasn't till a while later that Tom told me he was so excited when he picked the ring up (earlier that day!) that he hadn't been able to wait till the day we'd moved into our new home as he had first planned! 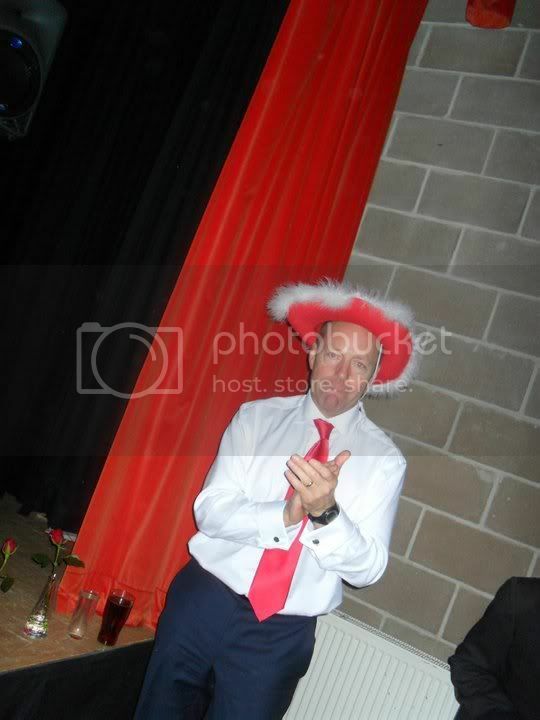 Bless him! I absolutely LOVE anything Christmassy & wintery but Tom didn't really feel the same ?????? He's not a big Christmas fan and so I had to sell the idea to him as a winter wedding & then I managed to sneak lots of Christmassy bits in along the way!! We decided on the date of December 4th 2010, had it not been for us needing to save quite a bit, we'd have got married sooner but we knew we needed to be sensible so it gave us about 18 months to get saving & get sorted! I think from that moment on I searched Google, read every magazine going, watched wedding Tv & spoke to anyone willing to listen about my plans!! I often wonder about my poor family who must have listened to hours of me waffling about invites, flowers & table plans! This one was too big and I look super nevous but I was just excited!! 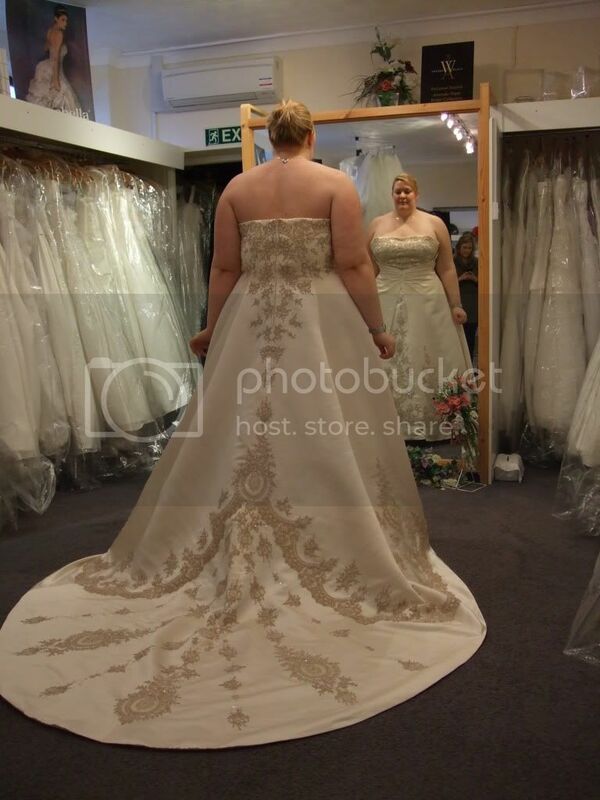 So the Dress was sorted really quickly. I knew it was the one so I ordered it there & then & paid a deposit. I then paid off a little each month. We knew we wanted a wintery look but we weren't sure how to go about it. I wanted Christmassy but without the gold, red & green. We also didn't want the icy look either. In the end, after much googling, we decided on mainly Gold with hints of burgundy. I was in gold, the men's waistcoats & cravats were goldy/champagne, and the bridesmaids were in burgundy with the little bridesmaid in gold. 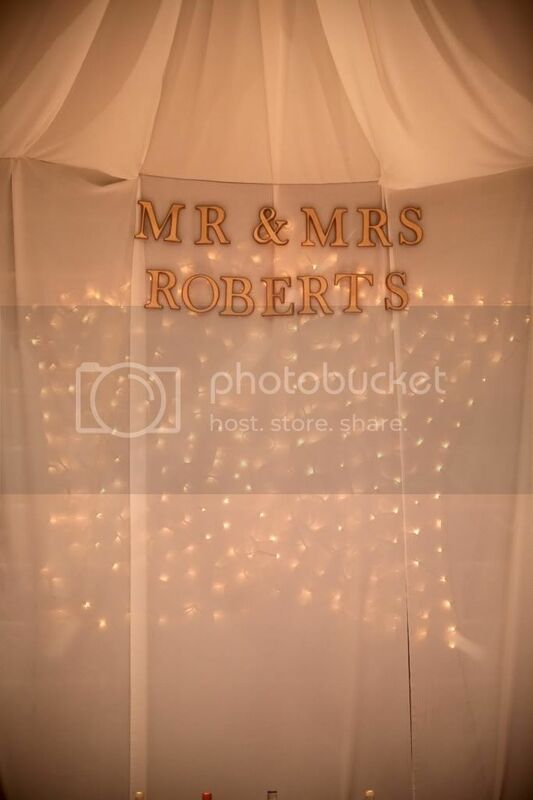 This was literally the picture that our whole wedding them was built around! This really helped with knowing how to decorate our venue. We had decided early on that on a reasonably small budget but with a large family, we couldn't afford a hotel wedding with all our guests. Lots of people were coming from a long way away so we wanted them to be invited to the whole day. We had a guest list of 110. Near on 80 of that were family (I am one of 7!) So we decided to hire the hall in the next village to where I'd grown up. 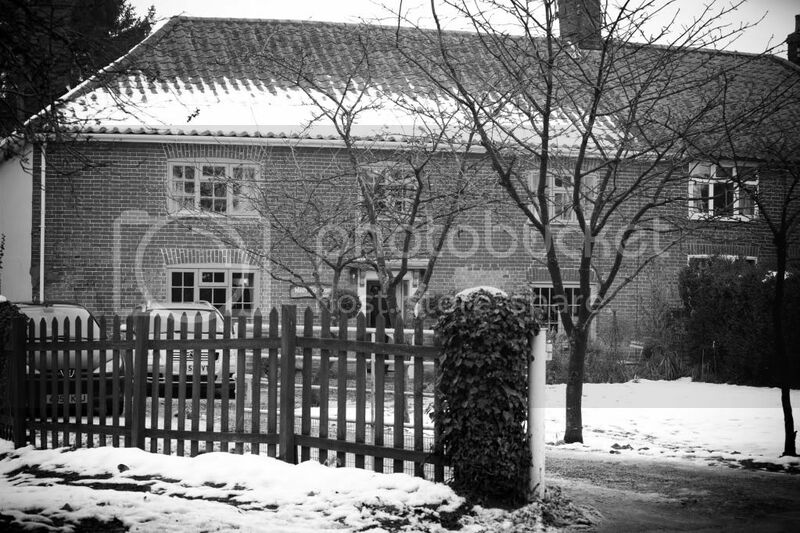 It was quite new & we knew we could really make it our own as there were no restrictions on what we could put up or do. Also, meant we bought in our own caterers & we bought all the arrival drinks, table wine & the toast sparkly when Tesco had a fab deal on their cases of wine! (Got masses of clubcard points too!) This saved us loads as there were no corkage charges. We also hired a bar for the evening, they were free if you had over a certain number of guests. 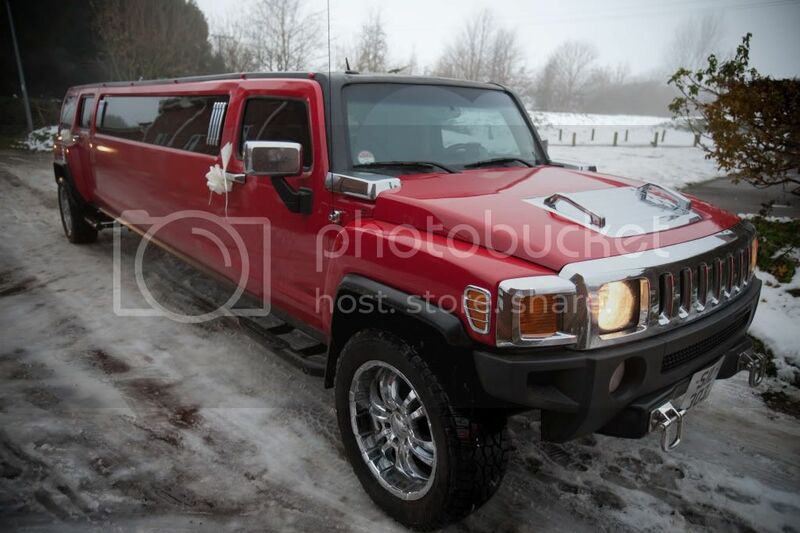 We also chose them as they had very reasonable prices that hadn't been inflated because it was a wedding. 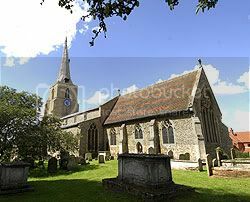 We got married in the Church in Banham where I'd grown up & lived most of my life. 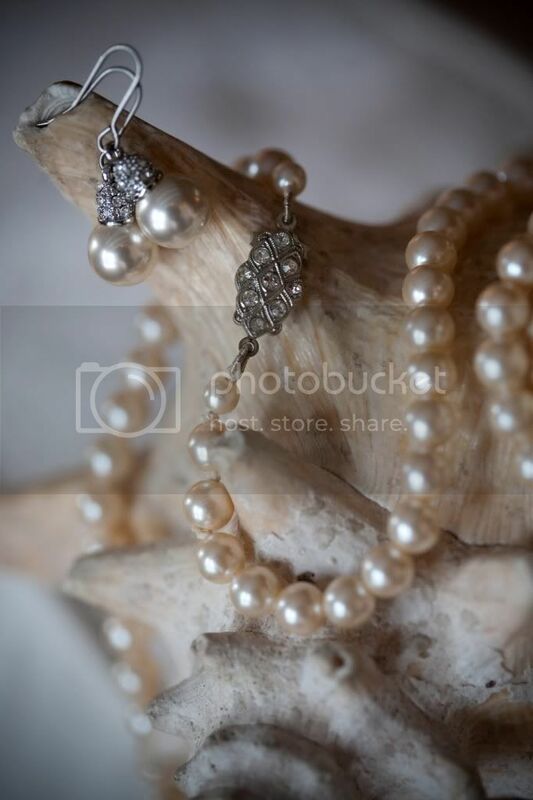 I loved it & knew it would look great for our wedding. There were a few things we wanted to check with the vicar before we booked. 1. That we could have carols instead of hymns & that the church could be candlelit & the lights out. He agreed to both of these so we booked! We had Silent Night & O' Holy Night and also had Amazing Grace (not a carol I know!) This was lovely as everyone really joined in & it sounded so loud and beautiful in such a large church. I promise I am getting there! I decided to write it out completely so then I can get it all on here at once!! Early on we decided to make our own stationary but after a good few failed attempts, never ending in something we'd want to send out to our guests we gave up & started looking at having them made. Quite quickly we realised we couldn't afford most of what we liked. So put it on the back burner and got other bits sorted in the mean time. A couple of months later, one of my lovely sisters asked if she could pay for them as our wedding present. What a gem! We found some we loved and got them ordered. They were square, cream card with a gold ribbon & bow down the left side. 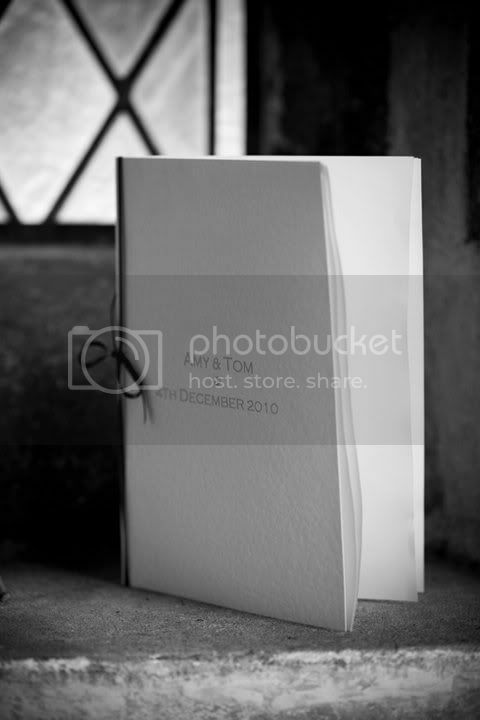 And it had our names on the front with our wedding date; I can't find a photo annoyingly. If I do I will post one further down! We made the Orders of Services ourselves and made them look as close to the invites as possible. Some we put burgundy ribbon on & some we did gold. I knew we didn't want flowers on the tables as in winter; flowers tend to be more expensive as they're out of season & we wanted to keep costs to a minimum. We decided on candles in a vase (Asda sale) with tiny gold baubles in too. 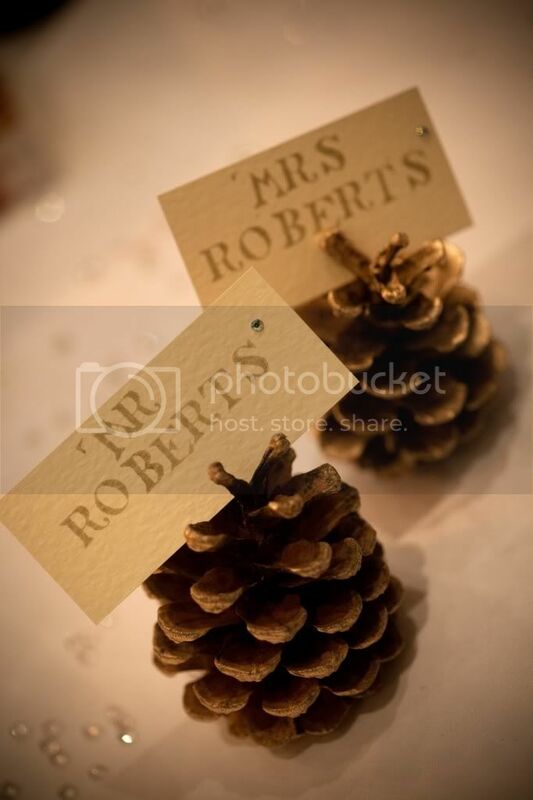 We added gold sprayed fir cones, some table sparkles & tea lights. They looked better than I could have hoped. Infact, the whole hall looked amazing. It took all day the day before the wedding, but it was worth it & meant we had exactly what we wanted! 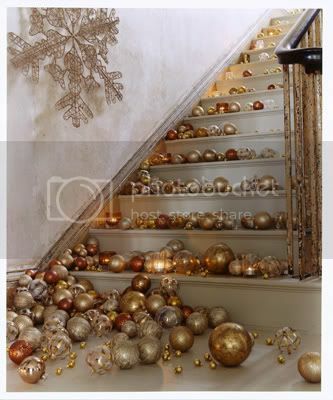 I bought loads of baubles in different gold tones, matt, sparkly and shiny, 250 infact. Tom thought I was crazy and to be fair at the time I had no idea what I wanted to do with them but it worked out and we hung loads on clear fishing wire! I bought loads of bits off ebay!! Lots of wooden things that we then sprayed gold like hearts, letters & snowflakes that we had hanging in the long hall windows. I made all the place name cards myself. I bought a stamp set and some gold ink and set about making them. Took forever but I was really happy with them & lots of people commented on them! 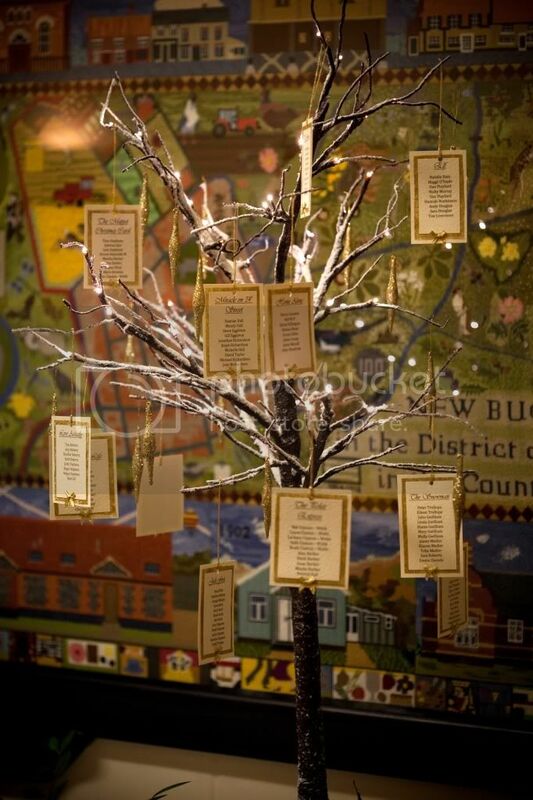 I saw a picture of a wish tree in a magazine somewhere & knew straight away that I wanted one but as a table plan. I set about finding one and (after convincing Tom I'd use it as a Christmas tree after the wedding) plumped for the John Lewis Pre lit twig tree. 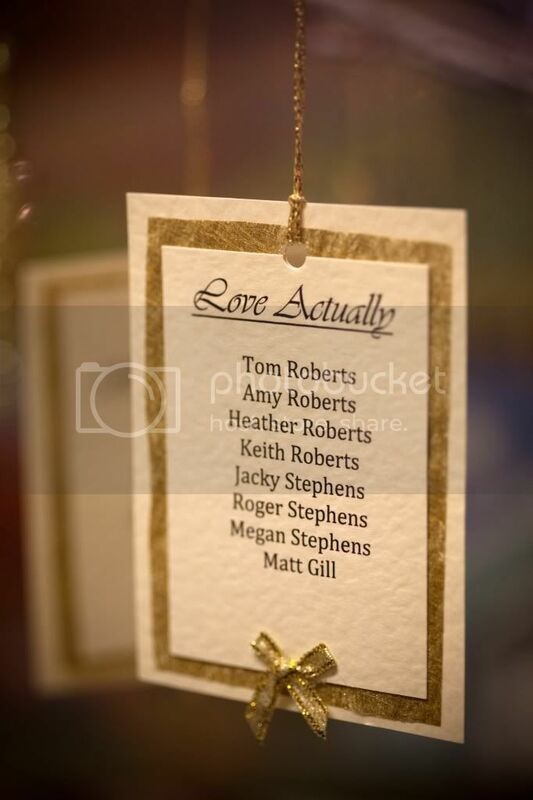 It was £45 (& I did actually use it for Christmas too) We set about making the cards with everyone's name on and strung them with gold string to hang off the tree. I also bought some cheap sparkly dangly things from Asda (Sooo many cheap decorations!) and hung them on also. I think it was one of the things I was most happy with, I really loved it. 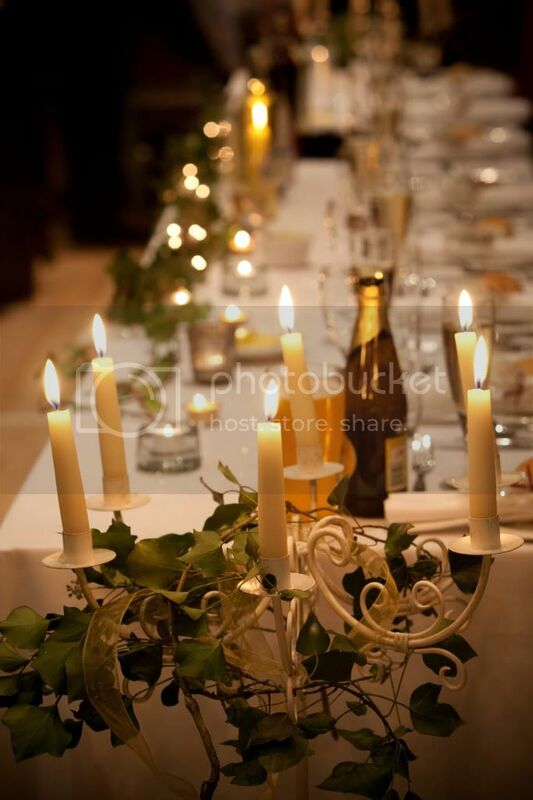 Aside from these we had lots of vases with twigs & fairy lights in, Muslin & greenery all around the hall. 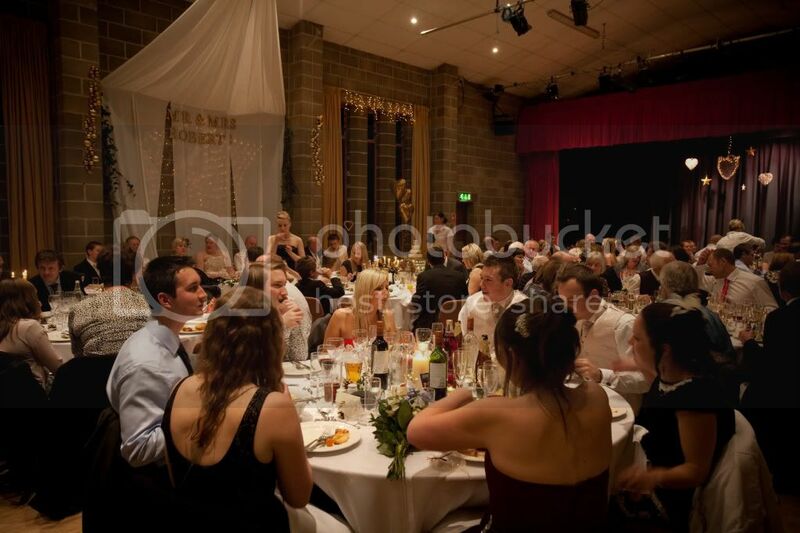 So many people said how beautiful the hall looked which made up for how tired I was after decorating it alllll day! We decided against favours and had a Sweetie Table instead. This went down really well! We bought the sweets from Makro and I used vases, jars & pots to display the sweets. On eBay I bought tongs, scoops & little paper sweet bags. 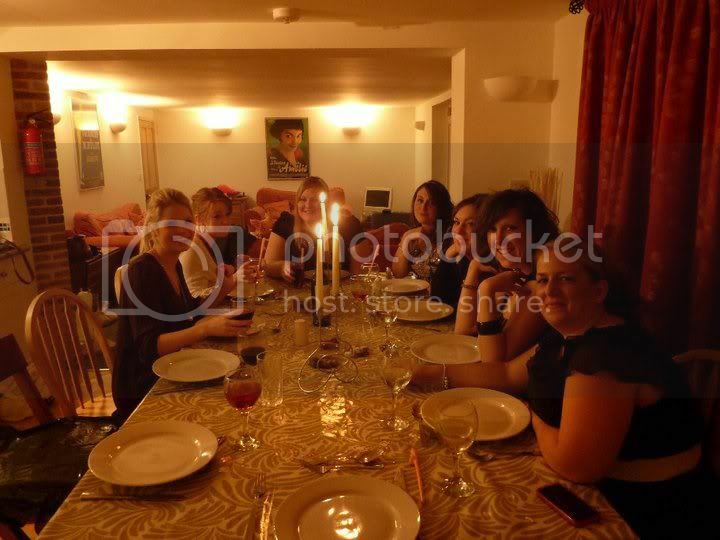 Only thing that annoys me every time I look at this picture is that I forgot the table cloth!! Silly little things hey. It could've been worse really! It isn't great photo! In the same room as the sweetie table we had a camera set up & lots of props! Glasses, wigs, hats, captions and a big frame I got in a charity shop & sprayed it gold. Poor Tom seemed to be spraying things for weeks on end & every time he thought he'd finished I produced something else I wanted sprayed metallic!! Anyway, it was fab & I have loved seeing people's photos! 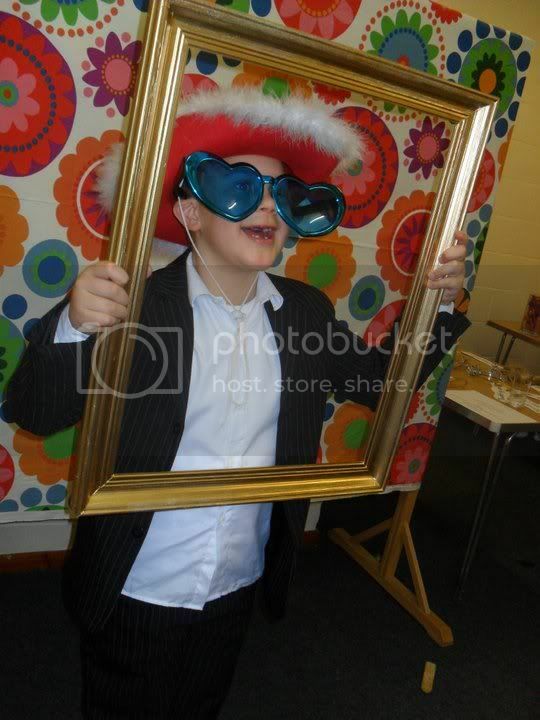 Also, later in the evening the props filtered onto the dance floor and made for some even funnier photos! I really wasn't sure on the flower front what I wanted. Actually, I really wanted peonies but they were out of season and I couldn't get the dark burgundy that I wanted! I went to a very unsuccessful appointment with a florist. Who when I explained that I wanted the darkest roses possible, she told me Grand Prix Red roses were them.......! 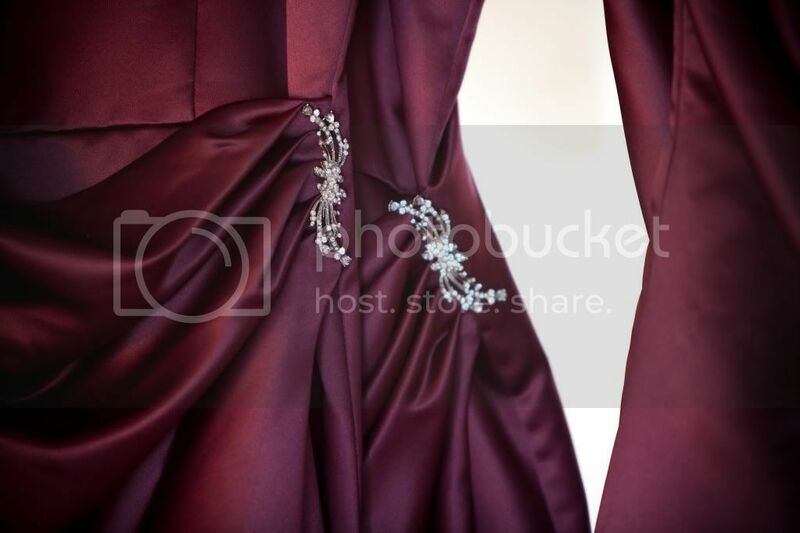 I said I didn't want red but I wanted burgundy as the red would clash with the bridesmaids as they're in burgundy which had a more purple tone. Well, she wasn't having any of it! I left knowing I wouldn't use her & wondering if the rose I wanted might even exist! Well I stuck upon pure gold. Well my mum did. 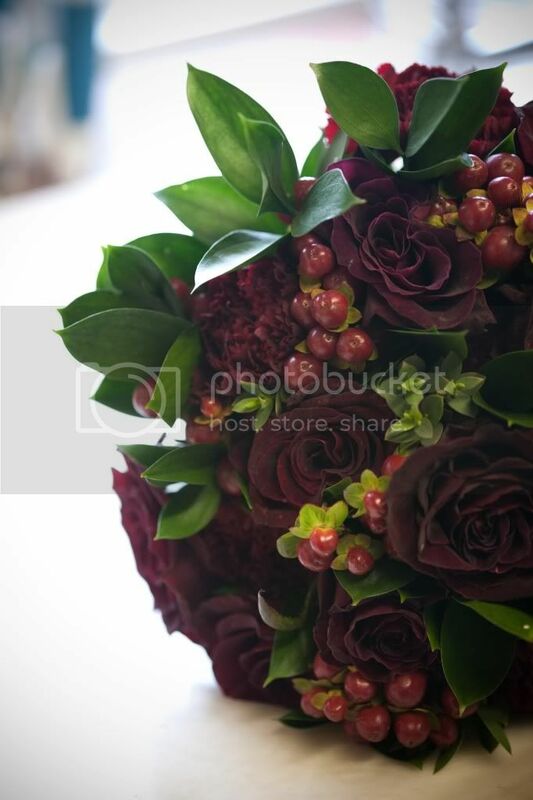 Whilst talking to a friend about my predicament, her friend said she'd been on a flower course and just done hand tied bouquets and her favourite rose was a dark burgundy! She said to mum that she'd do it for me & I'd just pay for the flowers from the wholesaler. 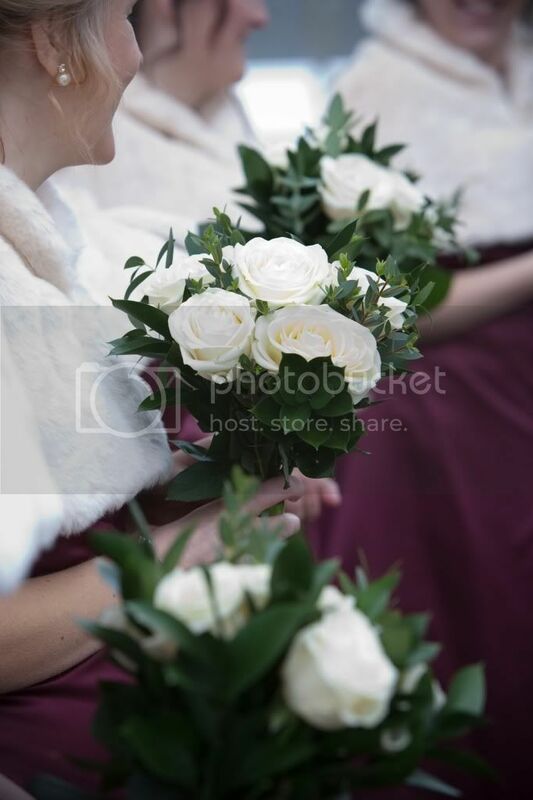 She did the bouquet, buttonholes, bridesmaids bouquets (6) & some flowers for the church for £200. I will find out the name if anyone wants the same colour! I am aware I have waffled more than enough already so I will try to be brief!! My lovely ladies whisked me off to a cottage by the beach. 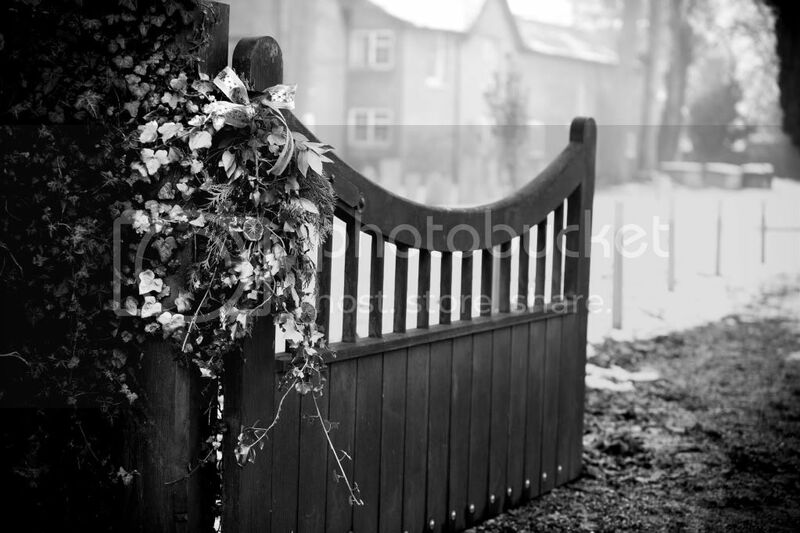 A lovely place on the Suffolk coast which is one of my favourite places. They had set up all manner of activities for the weekend & I had an absolutely brilliant time. In short - a film of my husband to be answering questions about us and if I got the same answer I won a prize or if wrong I got a forfeit (which were all Facebook related! Let's just say I had some interesting status updates that night, a photo I'd rather no one had seen & a message to someone about borrowing their private pool to skinny dip in!!! Oh the shame!) They had incorporated all my favourite things, a cocktail competition, a roast lamb dinner, an American pancake breakfast, an afternoon tea, a treasure hunt & photo challenge around the nearest coastal town, it goes on, it was truly brilliant and so nice to be in one place with my best 10 girls! Started off looking good, and then after a good few drinks ended up dancing the night away! 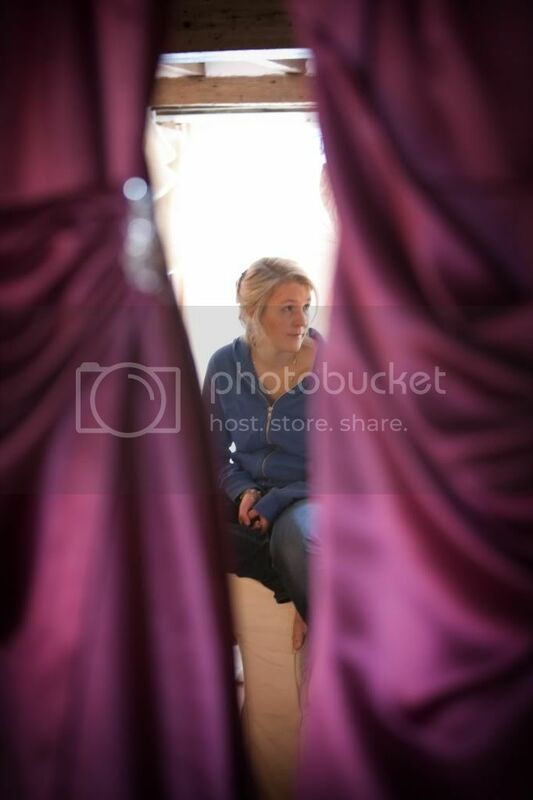 I have a lot of friendship groups, the friends I grew up with, my Uni friends, friends since meeting Tom's friends and as such I had a hard ol' choice on the bridesmaid's front. 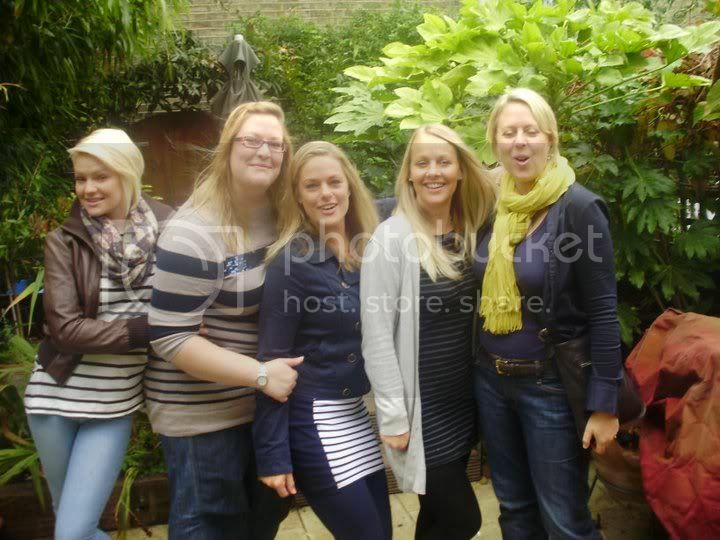 I also have 4 sisters & 3 nieces and I was a bit stuck on who to ask as if I had a sister, I wanted them all & if I had my best friends (5 of them!!) 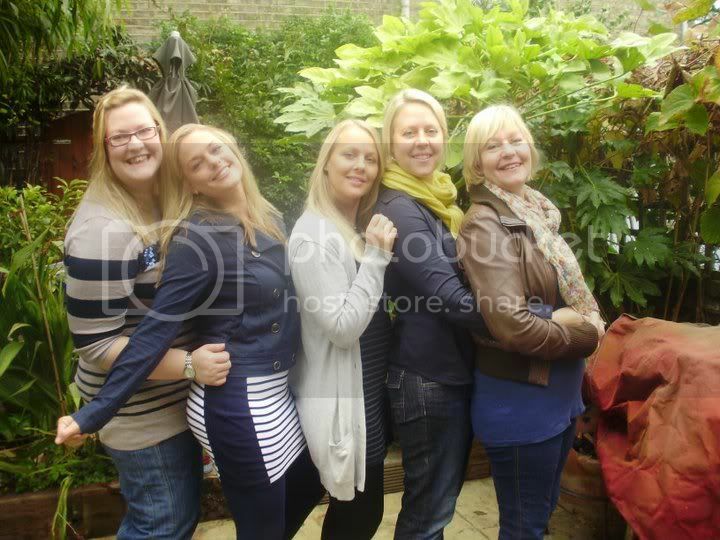 then I couldn't have my sisters!! After a lot of thought, I did ask my friends + my little sister & my niece Maisie who was 9 and super cute! With this many, I needed to get a good deal on dresses as I knew it could end up breaking that bank!! 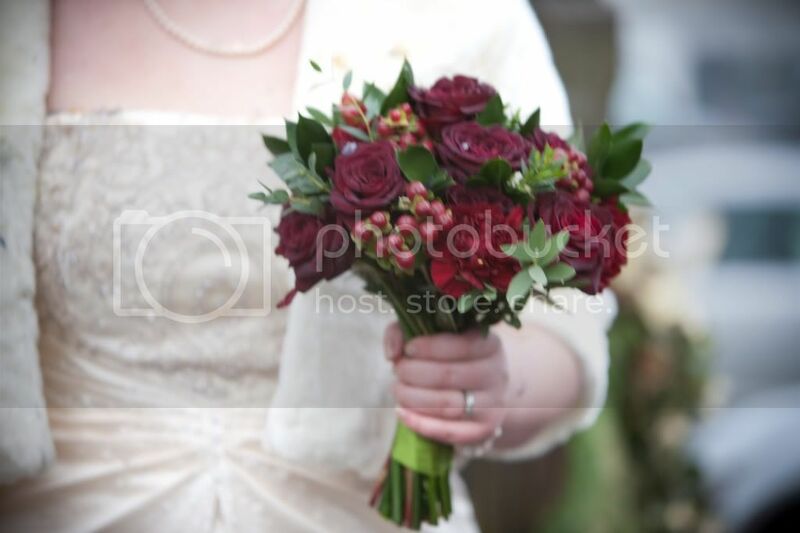 I found a lovely burgundy dress in the BHS Wedding range & waited for one of their spectaculars before buying 6! Also in the same sale I got Maisies gold dress. I also bought fur shrugs from Next that looked fab with the dresses. A friend at work makes jewellery, so I asked her to make them each a bracelet and necklace. This worked out cheaper than getting them on the high street. 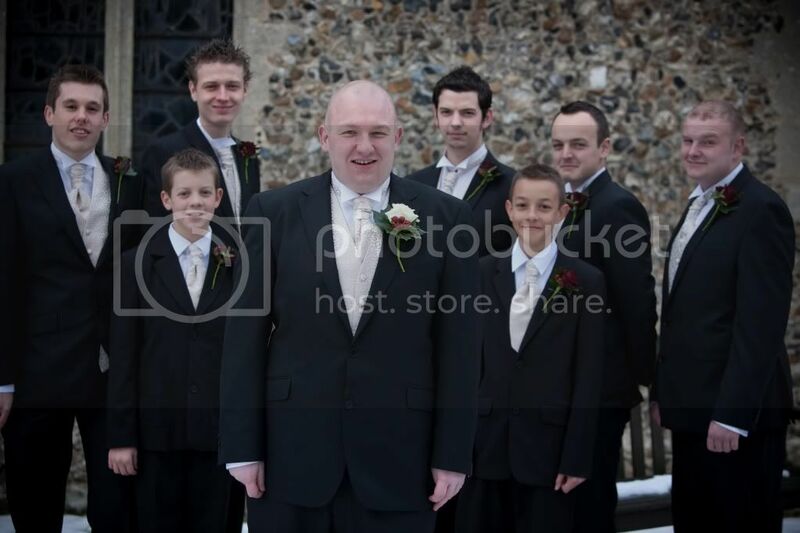 Tom, The Best Man & The ushers all wore their own black suit & we bought a waistcoat, cravat & shirt in the BHS sale!! They all looked great and again were cheaper than hiring a suit each. 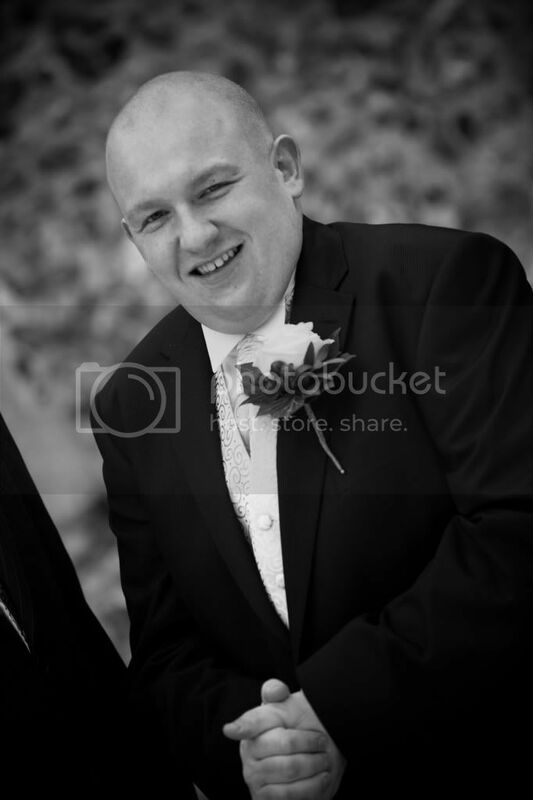 Tom bought a brand new suit which he was very happy with & looked great in! I also ask my 3 nephews to be usher/helpers for the day! They loved it & again looked gorgeous in their suits. So finally, (I don't think I have missed anything obvious?) Tue before the wedding & finally my last day at work! As much as we hadn't stopped for weeks we still seemed to have lots of little bits to sort out so I was looking forward to work ending and being able to get them all done! I had been watching the weather for a couple of weeks and the forecast was rain, snow, sunny, cloudy & windy so I decided to forget about it! 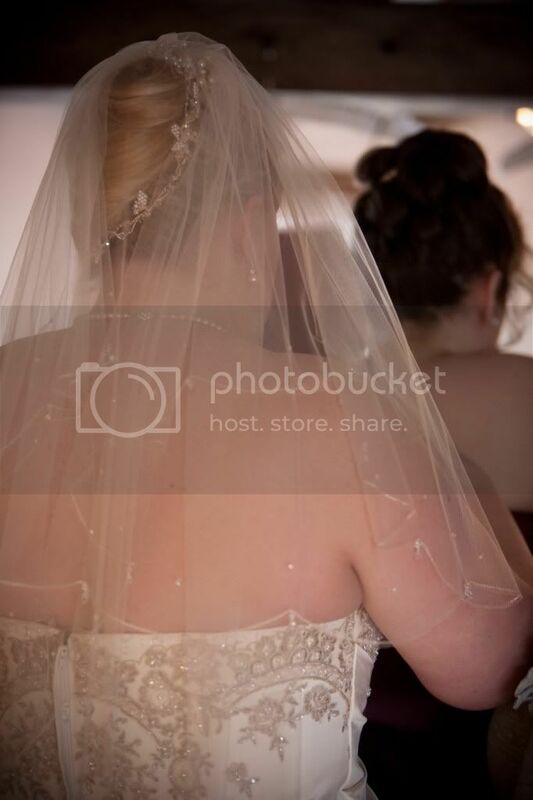 I did start panicking nearer the wedding when it was still snowing (which I really wanted!!) but I was getting worried people weren't going to be able to make it to our big day. I did hear from a couple of people coming from up north that it was worse there and they were going to try their hardest to get there. As the week progressed the snow started to melt a little and things up north got better, but it got whole lot worse in Ireland and all the flights were cancelled. One of my best friends Maggi, my bridesmaid couldn't get a flight out at all & in the process of trying to get to the airport put her Mini in a ditch in the awful snow. I was so sad not to have her with me on the day, but I was glad she was ok & I knew she'd tried everything to be there. We tried to get an early night on the Thursday as we knew the Friday was going to be madness. 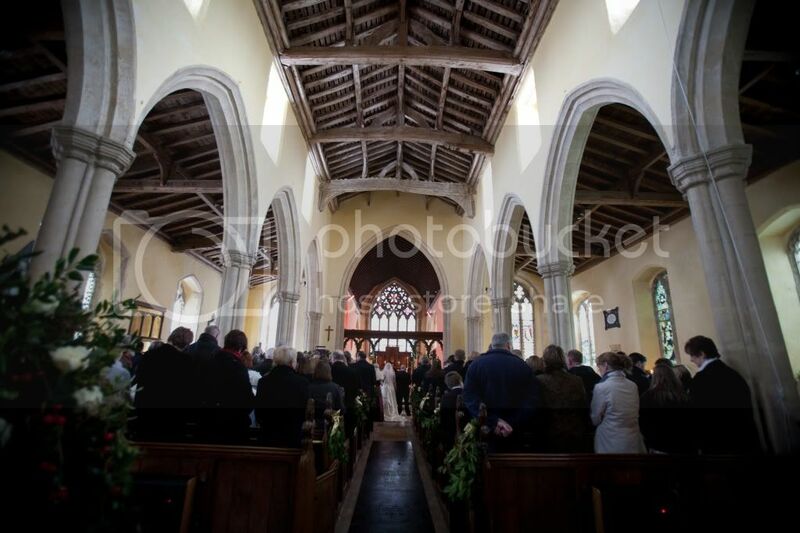 We had to decorate the whole hall, tables etc included, decorate the church & have the wedding rehearsal in the evening. My mum, 2 sisters, and 3 friends decorated the church which took all day! I had said just make it look nice! 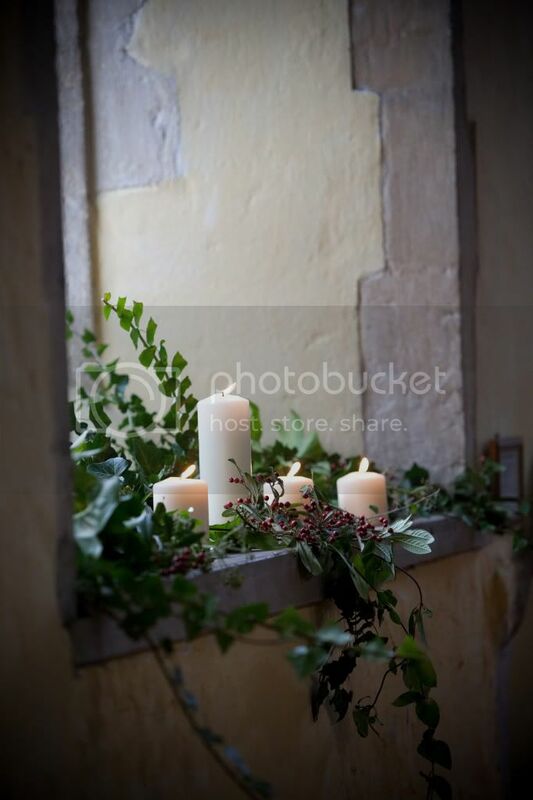 We had greenery & candles on each windowsill, greenery & ribbon on the pew ends and just lots of candles everywhere as we were having the service candlelit. I had bought 2 candelabras from ebay which they entwined ivy round and put at the front of the church. (We moved these to the Hall for either end of the top table!) When I arrived for the rehearsal I was so shocked. The church looked absolutely beautiful and the candles weren't even lit. 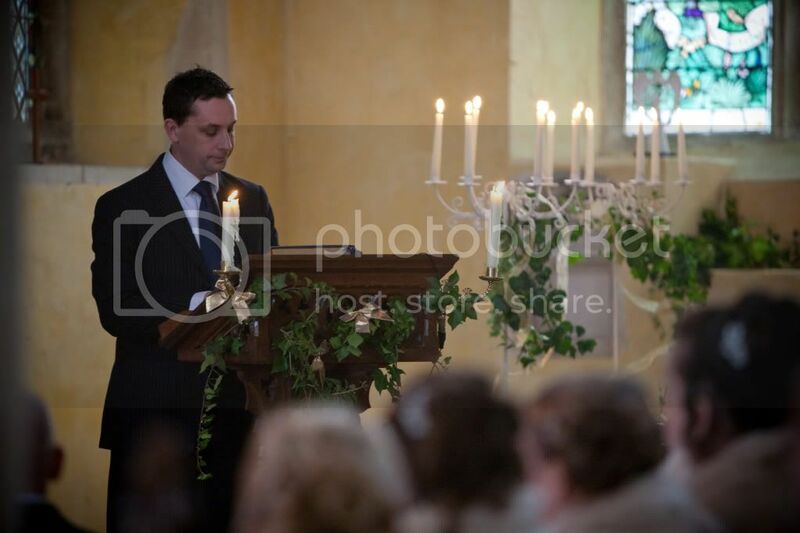 My lovely brother in Law doing the Bible reading, shows the candelabra well and some greenery! The hall decorating was a bit of a blur. I have no idea how we got it done! But again it looked better than I could have hoped. The caterer turned up, the hire company, friends & family (Tom's mum did an amazing job with making our napkins look so beautiful! Tying sparkly leaves to 110 of them - Star!) & at some point my lovely mum with lunch for everyone. What a legend. At some point I looked around and & realised the hall looked very similar to how it had 5 hours before and yet we hadn't stopped working! But somehow it came together & looked so special. The rehearsal went smoothly, except for my tears during the pretend vows & when our friend who was singing the next day practiced her songs! I was obviously a bit over tired by then! I went back to the hall with my mum & sister to make sure everything was perfect and then met a few friends at the pub for one drink and then home to Mum & Dads. 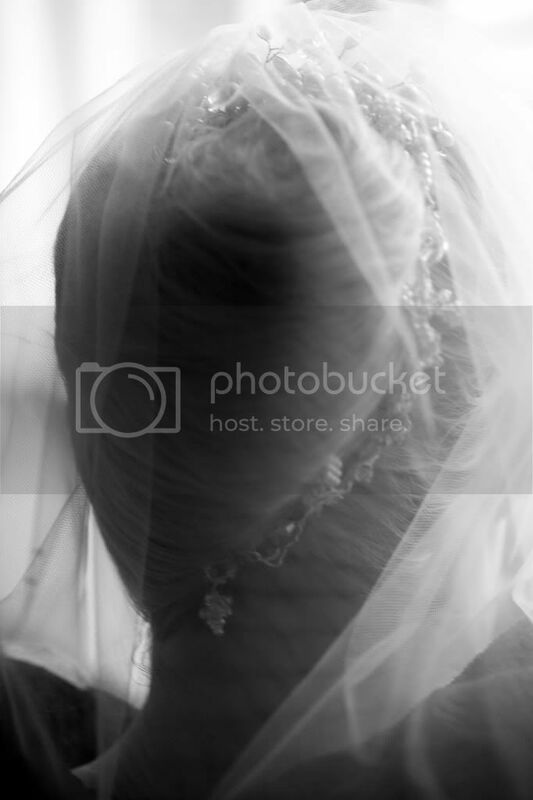 I had chosen way back at the beginning of planning that I wanted to wake up on the wedding morning in the house I grew up in. It has so many happy memories and I wanted to add another! 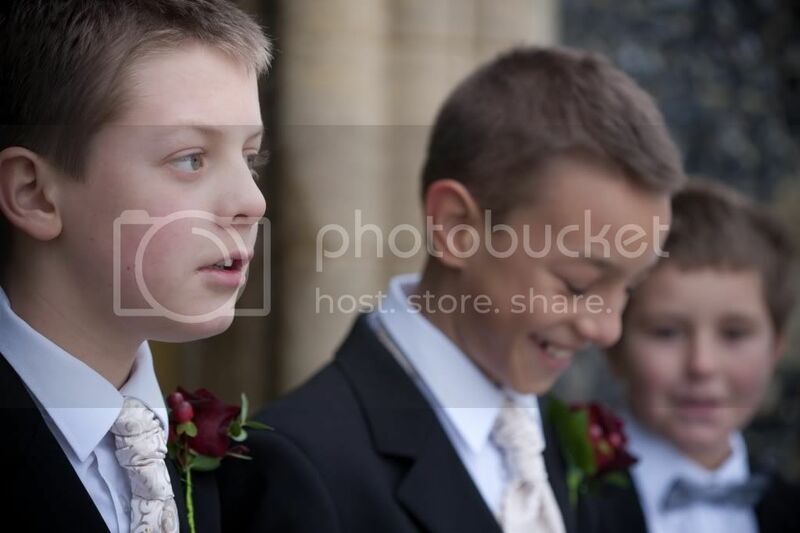 Plus Tom had overtaken our house with his best man & ushers! I got a better night sleep than I expected and woke at 7.30am. I looked out the window & was so pleased and excited to see there was still snow but that no more had fallen so hopefully everyone would get to the wedding safely!! I popped through to the dining room & mum was sat in a chair. We sat and chatted for a little while before anyone else woke up & she gave me a letter she'd written me. Queue the first cry of the day - I hadn't even made it to 8am! It was such a lovely letter and I have kept it with lots of other little wedding bits in a lovely big boxed scrapbook that Mum bought Tom & me. She got lots of people to write letters and she went round at the end of the wedding scooping up little bits to put in it, some of the petal confetti, some table sparkles, our place names, and the Table Name card. I really love it and want to add loads more to it. I opened my card and present from Tom. The card was so lovely and I wasn't expecting the beautiful diamond earrings that I opened moments later. They are the most sparkly things I have ever seen & I love wearing them. I am told he was very happy with his watch and cufflinks that I had hidden at home for him to open on the wedding morning. The morning sped along and soon everyone was up and my bridesmaid's had arrived. We all went together to the hair dressers just up the road and soon were back at the house sipping pink champagne my dad had bought, me in a fluffy dressing gown and veil! We all did our make up & chatted. 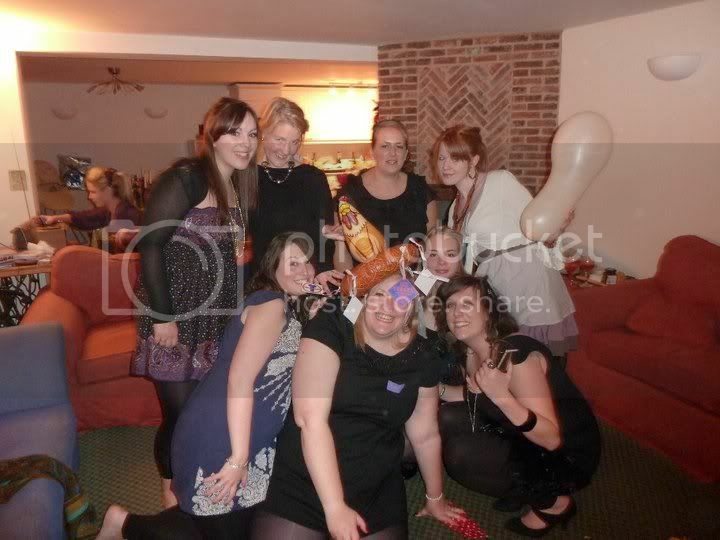 I remember this being a lovely time but from the photos I look super nervous! I don't remember feeling it! We waited a while to get into our dresses & I was so pleased with how we all looked & went together. It is really good to see all your ideas come together and work!